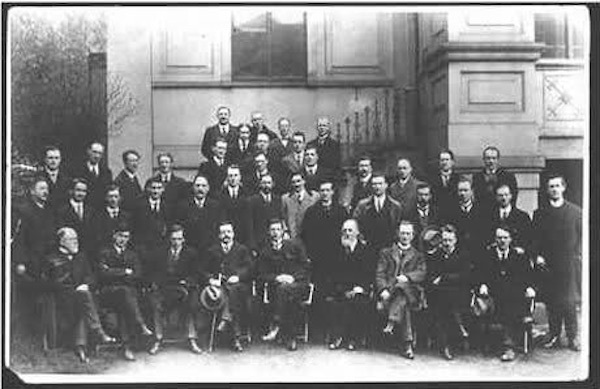 The movement founded almost 100 years ago by Arthur Griffith evolved into a number of organisations which carried the name. The party now led by Mary Lou McDonald, once led by Gerry Adams and Martin McGuinness, is the largest of the modern parties which emerged from Sinn Féin. It says it seeks the establishment of a new Ireland based on sustainable social and economic development; genuine democracy, participation, equality and justice at all levels of the economy and society; and a lasting and meaningful peace with unity of purpose and action. Sinn Féin is an Irish Republican party. Its objective is to end British rule in Ireland. It seeks national self-determination, the unity and independence of Ireland as a sovereign state. Sinn Féin is committed to the transformation of Irish society and to a negotiated and democratic settlement. It knows that peace is not simply the absence of violence. Real peace - a lasting peace - is based on democracy, justice, freedom and equality. Sinn Féin has a vision that sees beyond the present conflict and beyond the present phase of Irish history. The party's vision foresees the unity of the people of this island. It is a vision for the redistribution of wealth, for the well-being of the aged, for the advancement of youth, for the liberation of women and for the protection of Irish children. It is a vision for a free Ireland and a free people. Sinn Féin is committed to its peace strategy. It has sought with honesty and integrity to construct a peace process which reaches out and embraces everyone on the island on the basis of equality. Its objective must be for an agreement that will earn the allegiance and respect of all sections of the Irish people. To achieve these objectives, Sinn Féin backs the 1998 Good Friday Agreement, which the party reached with the other northern parties and the Irish and British governments following multi-party negotiations in Belfast. These negotiations arose from the Irish Peace Process, itself initiated in discussions begun several years ago. Sinn Féin's peace strategy was supported by the end of the armed campaign by the Provisional Irish Republican Army and was endorsed again by the decisions taken at the party's annual Ard Fheiseanna [annual conferences]. Through its leadership, the Ard Chomhairle, Sinn Féin says it maintains its goal of a just and lasting peace as part of its agenda for change. In the Six Counties, Sinn Féin is the leading nationalist party. It has four Westminster MPs, 28 MLAs, and 105 councillors. In the 26 Counties, the party currently has 14 TDs and 158 councillors. All material is provided 'as is' without warranty of any kind, either expressed or implied, and should not be considered officially endorsed or sanctioned by Sinn Fein or the website administrators. Links to organizations are provided solely as a service. Neither the links, nor the absence of links, constitute an endorsement by Sinn Fein or the website administrators of the organizations, products or information and none should be inferred. This website only collects personal, identifiable information, when site visitors voluntarily and explicity provide it. Data on website activity is collected only for the purpose of stastical analysis of site performance.